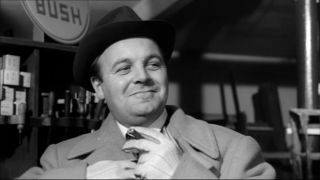 The League of Gentlemen (1960) Wymark appears as Wylie, descibed in the script as a "prosperous wide boy". For more go to this page. Dr. Syn, Alias the Scarecrow (December 1963) A 98 minute movie version of "Dr. Syn: The Scarecrow of Romney Marsh" (1964) a three part series for Walt Disney‘s Wonderful World of Color NBC TV show. 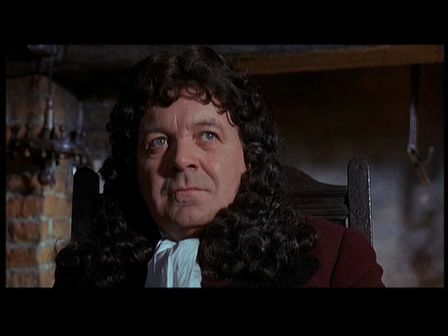 Patrick McGoohan played Russell Thorndykes Dr Syn, 1760's vicar by day and smuggler by night.Patrick Wymark appears in the second episode as informer, Joseph Ransley. Children of the Damned (1964) In this sequel to John Wyndham's "Village of the Damned", Wymark only appears in the last fifteen minutes. 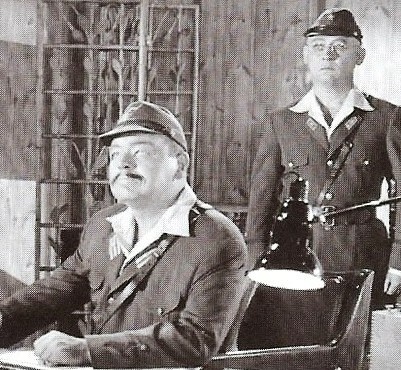 Pictured above (with Alan Badel) as commander of the forces called in to control the paranormal children. 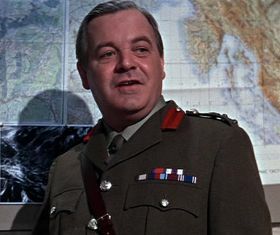 He carries out the role with quiet authority, rather than the stereotypical psychopathic behaviour which military officers display in more recent science fiction movies. For more on "Children of the Damned" go to this page. The Finest Hours (1964). 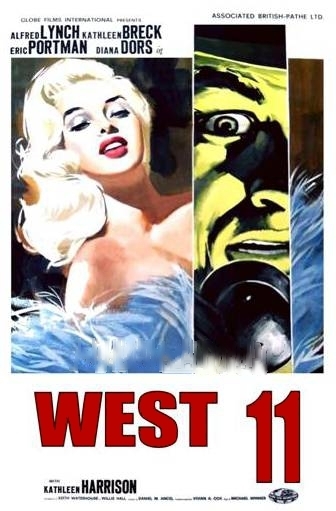 Directed by Peter Baylis. Produced by Jack Le Vien. 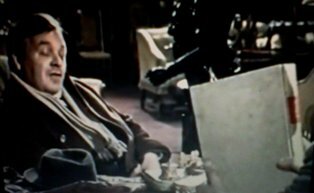 Documentary life of Winston Churchill, narrated by Orson Welles with Patrick Wymark as the voice of Winston Churchill and George Baker as the voice of Randolph Churchill. 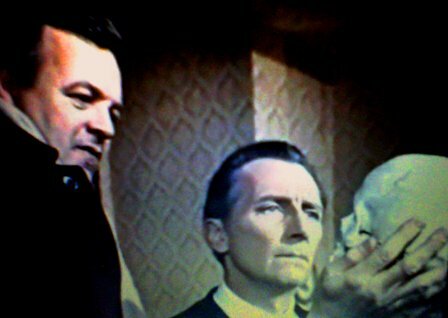 The Skull (1965) Peter Cushing plays Dr. Christopher Maitland, a researcher into the occult. 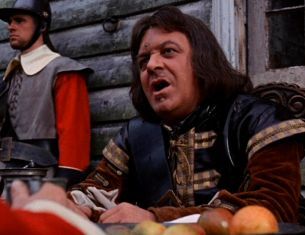 Wymark plays Anthony Marco, a dealer who brings Maitland a book bound in human skin and then tempts him with the skull of the Marquis de Sade. 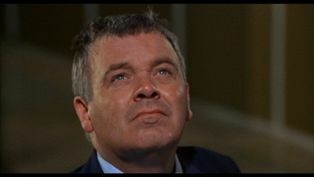 The script for "The Skull" was notoriously under-written, giving director Freddie Francis license to extend the running time with imaginative camerawork and and long wordless sequences. 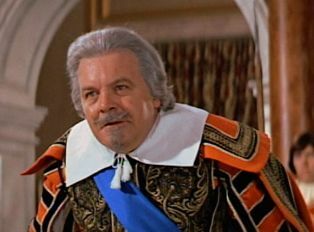 Wymark plays Marco as cultured but shabby. 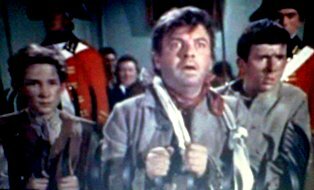 He gets to narrate the history of the Marquis De Sade, while wandering around the elaborate set of Cushing's study but finally falls victim to the Skull. For more on The Skull, go here. Hear Harry Dobermann discuss The Psychopath with Dr Terror here. Woman Times Seven (1967) (Sette Volte Donna)1967. 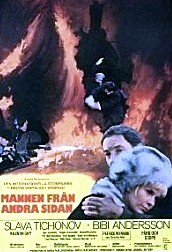 Italian/French/American anthology film starring Shirley MacLaine. 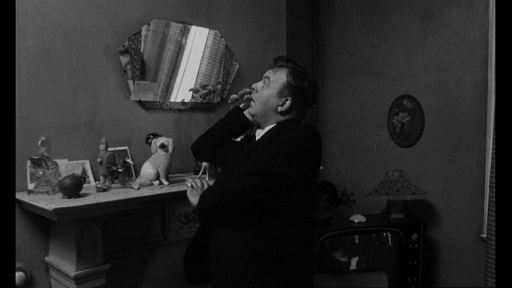 Wymark plays a businessman whose wife (MacLaine) learns that rival Adrienne Corri plans to wear a copy of her dress to the first night of the Opera. For more go here. 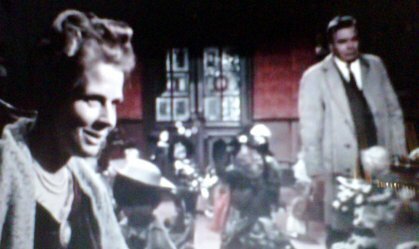 Witchfinder General (1968) In 'Vincent Price - The Art of Fear', Denis Meikle finds, "sequences of striking beauty and a film, on the whole, which was more authentic in tone to the period in question than director Ken Hughes' multi-million pound production of Cromwell, made three years later." 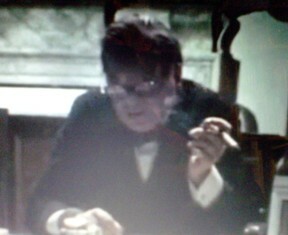 Wymark's one scene as Oliver Cromwell is promoted to Guest Star status, indicating the level of fame which The Power Game had brought (Wilfrid Brambell - of Steptoe and Son - shares the title card with Wymark). 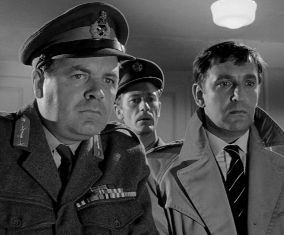 Similar in format to the author's earlier Guns of Navarone, (and allegedly drafted from a wish-list of incidents from the film' producer) it sends Richard Burton, Clint Eastwood and Mary Ure into Nazi Germany to pull off an impossible mission. Wymark has the James Robertson Justice role, briefing the agents and monitoring their progress.